For the fourth quarter in a row, the average production wage in Denmark has increased at a faster rate than abroad, according to new figures from the Confederation of Danish Employers (DA). The new figures reveal that Danish wages in production are increasing by 2.2 percent annually – 0.7 percentage points higher than the average of 13 other nations. 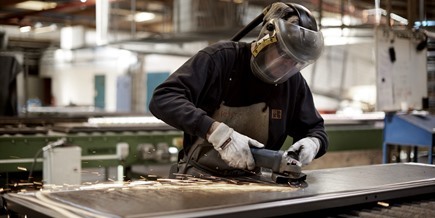 Dansk Industri (DI), the confederation of Danish industry, is concerned. “When wages increase faster in Denmark than in other nations, it impacts the ability of Danish companies to compete,” warned Steen Nielsen, the deputy head of DI. Out of the 14 countries that are part of DA’s report, the greatest increase took place in Norway (a 3.6 percent increase), while Poland, the US and the UK also saw production wages increase at a greater rate than Denmark. According to Nielsen, DI keeps close tabs on wage development in Denmark’s major trade partners Sweden and Germany. “We should be equal or lower than these nations to avoid Danish companies losing orders and growth,” said Nielsen.